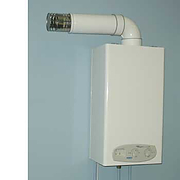 Hot water is essential in caravans - whether they are static or mobile. Surprisingly, a huge number of caravan owners are still reaching for the kettle when it comes to the washing up - overlooking the huge benefits Morco caravan water heaters offer. It is now the 21st century and hot water - even in a compact, mobile caravan should not be seen as a luxury. People should have access to all the same mod-cons that they enjoy in the home when they are on the road. And, Morco caravan water heaters are one such mod-con that holidaymakers should not have to do without. Picking a water heating solution can be difficult - there is plenty of choice just within the Morco caravan water heaters range itself before you start looking at any other brands. 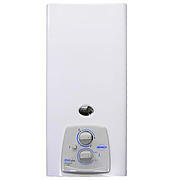 Fortunately Morco caravan water heaters are strong contenders for the most popular caravan hot water solution. This is so for a number of reasons. 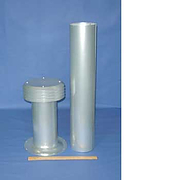 They are reliable, easy to install and extremely cost effective to run. All things that make Morco caravan water heaters stand out from the crowd. As mentioned above, the Morco caravan water heaters range is extensive and there is something for practically every caravan owner. The solid reliability of Morco caravan water heaters means that they are an ideal solution for both owner-occupier caravanners and those that have got a static caravan to let. The most common Morco caravan water heaters are the Morco D61B Instantaneous water heater, the Morco D61E Instantaneous water heater and the Morco G111E Water heater in white. So what are the differences between instantaneous water heaters in the Morco caravan water heaters range? Well, first-off, let's have a bit of general background info about Morco caravan water heaters. 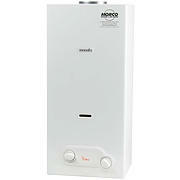 Morco caravan water heaters have had a long and illustrious history in the world of caravanning. 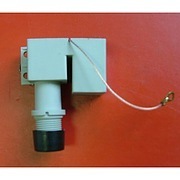 But, in 1990, Morco revolutionised caravanning hot water provision with the introduction of the Morco D51B. 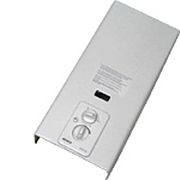 The success of this compact, good value and highly efficient water heater model was built upon in subsequent years with the D61B, D61E and G111E. Like other Morco caravan water heaters, the D61B has had a huge amount of success and remains popular among both new and veteran caravanners. It has a flow-rate of six litres per minute at a temperature rise of 25C above ambient levels and comes with a maximum power of 11kW. The D61E is a very similar solution to the D61B, but instead of having a piezo ignition, the D61E has an automated electric ignition, which is powered by two AA batteries. In the event of a battery failure, however, the pilot can be conveniently lit with a match. The G11E is a step up from the previous two models in terms of capacity - offering a flow rate of 11 litres per minute. With considerably more power, this means that the Morco G11E can heat this water to 25C above ambient temperatures. Morco caravan water heaters are an excellent choice for another reason. They all use the same spares. 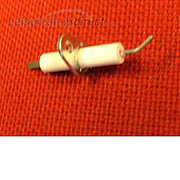 Faults with Morco caravan water heaters, needless to say, are few and far between. But, if a problem does arise, caravan owners who have opted for one of the many, reliable Morco caravan water heaters can rest assured that it will be easy to remedy. This also means that if you've fitted one of the Morco caravan water heaters range, you've fitted them all - so the cost of installation can be kept to an absolute minimum. 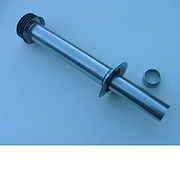 Spark electrode for the Morco D51 and D61 series water heaters. 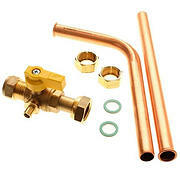 A 15mm fitting kit for Morco Primo 6 and Morco Primo 11 LPG water heaters. 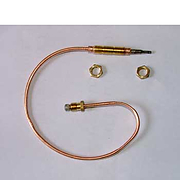 Includes a 15mm diameter copper gas pipe.